Anxiety is a common term used to describe general feelings of nervousness or apprehension. It can vary from a simple fleeting worry or temporary uneasy mood, to a chronic incapacitating condition with distressing physical symptoms. Anxiety can affect your thinking, feelings and behavior when dealing with change or coping with demanding situations like exams. Anxiety becomes problematic when expectations become irrational and unrealistic, where even minor situations are met with a feeling of dread. Your general handling of life becomes overwhelming, affecting basic functioning like sleeping and eating patterns. Certain lifestyles are considered to generate higher levels of anxiety. These include when using or withdrawing from addictive substances, being in a long-term job that you dislike or being in an abusive relationship. There are recognized lifestyle changes that are considered to be stressful. These can include developing certain medical conditions (e.g. heart conditions), moving house, changing jobs, getting a divorce, suffering abuse and grieving the death of a loved one. The recency and number of lifestyle changes that you are dealing with at one time would increase your anxiety levels. There are many experiences that can shape your anxious thinking such as suffering traumas, abuse and neglect. These experiences can create a template of anxiety that is re-triggered when suffering similar situations later in life. In addition to this, learning to cope from anxious parents is likely to influence your own anxious disposition. When you are younger, authority figures can act as role models for creating your own anxious belief system. A family history of anxiety will increase your likelihood that you will suffer anxiety. This considers the view that you are born a ‘worrier’ with catastrophic thinking. An imbalance in the brain’s neurotransmitters (chemicals that transmit messages between the brain cells) can cause anxiety and affect brain functioning. It’s unclear whether anxious traumas cause this dysfunction or it is something that you inherit. In my hypnotherapy consultation, I may seek to identify events that have “caused” you to deal with events in a self-limiting way. This can help reduce your internal conflict or “why” your mind has adopted this negative approach to handle problems. Anxiety: What are the common symptoms? Each person is individual in the way you experience anxiety. Some symptoms are more prominent than others and in some cases, symptoms can be the reverse e.g. bladder shyness (difficulty urinating) instead of frequent urination when feeling anxious. Anxiety sufferers find that their condition can exaggerate other natural symptoms. This is because of the “anxious” way you tend to tune into your symptoms. For example, sweating is a common anxiety symptom and a natural response when you are hot. Socially anxious people become more nervous and self-conscious when you show common anxiety symptoms in public. In the summer, sweating in public can be made worse by sufferers of social anxiety. Many of the anxiety symptoms are common to other more serious health conditions. It is important to have these symptoms checked by your doctor just to be certain that your symptom is anxiety-related. Anxiety: how is it diagnosed? Anxiety is diagnosed in consultation with your GP. You doctor will also want to establish that there are no underlying medical problems that are being masked by your anxiety. Personal questions are asked about the nature of your worries and fears, family history and any recent lifestyle changes. Your doctor will also enquire about how you are coping with your anxiety, your sleeping and eating patterns and any excessive habits which have developed. Your doctor may prescribe some medication or refer you to a psychiatrist or psychologist. Further assessment tools will be used to help diagnose the severity of your condition. A diagnosis can then be made if you have a particular type of anxiety disorder. General anxiety disorder is diagnosed when you have persistently struggled with your symptoms for about six months. Just admitting that you have anxiety can be a problem for those suffering with the condition. Many people wrongly see anxiety as a condition for the weak-willed. The phrase that you are unable to “pull yourself together” assumes that you can just “snap” out of it. Although this is a rational recourse, it barely connects with the emotions felt when you are suffering with anxiety. There is an amount of helplessness within anxiety and it can take time for family and friends to accept this. Even if the diagnosis of anxiety is accepted by the sufferer, it can be met with denial. You may not want to take the medication because it can also be used to treat depression. Symptoms that can accompany anxiety are also easily rejected. 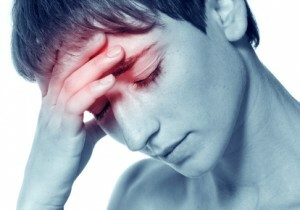 The sufferer wants to believe that tension headaches or anxiety related IBS must have an organic cause. You endlessly pursue tests and further tests, rejecting the negative result as an error. A relative who has had an organic condition diagnosed e.g. heart problems might generate a further medical anxiety (hypochondria). In this state, you panic about your own anxiety symptoms, making the symptoms worse (panic about panic). Depending on how your anxiety affects you, your GP will prescribe suitable medication. It is usually in the form of benzodiazepines for short-term severe anxiety, antidepressants for chronic anxiety or beta blockers for physical anxiety symptoms. Self-help methods can include making changes to your lifestyle to moderate your feelings of anxiety. This can include exercise, changes to your diet and talking to people in self-help groups for further support. Your doctor can refer you to a therapist to help you cope with your anxiety. There can be a waiting list for treatment depending on your location. There is evidence-based research to show that “hypnosis is an efficacious treatment for state anxiety…and anxiety related disorders”. In my hypnotherapy practice, the majority of my patients will be suffering with some form of anxiety. Quite often it is the main therapeutic goal. A key benefit of hypnotherapy is that each consultation involves deep relaxation, reducing immediate levels of stress and anxiety. In this relaxed state, you are more receptive to suggestions that I will use for your treatment. Hypnotherapy can then be used to enhance your learning of new approaches to problems that are causing you anxiety. Hypnotherapy also teaches you to how to relax for yourself. Self hypnosis involves using breathing techniques to lower your anxiety levels and gain more control over your own anxious thinking processes. Hypnotherapy can be used to uncover and reframe sensitising events that have taught you to think in an anxious way. The effect of these past traumas can create negative fixed ideas that continue to fuel your anxiety. A patient who had a recent promotion was experiencing extreme anxiety during meetings. She was becoming progressively more self-conscious and dreaded the self-introduction usually required at the start of each meeting. Formal presentations however did not generate the same intensity of anxiety, nor did they create the same anticipatory anxiety. The treatment started with helping her to control her anxiety-response. Since some of the symptoms remained however, her past experiences were investigated further. Using regression, a suppressed past experience was identified when, as a teenager, she chose to give a talk to her class about a very personal issue. The delicate subject-matter caused her to feel exposed however and the risk was met by her peers taunting her. Her suppressed embarrassment was surfacing during her present meetings when she was sometimes asked to “speak from the heart.” Her colleagues were oblivious to her sensitivity. The anxiety had diminished once this causal link had been made and reframed into peer group trust. She unconsciously believed that her present work colleagues were going to taunt her in the same way the teenagers did. The treatment was complete by helping her to portray a confident character even though she was speaking about herself. Negative habits or anxiety-related symptoms can be deeply associated with higher levels of anxiety. For example nail biting can be an unwanted learnt response to comfort anxiety and stammering can triggered when the patient feels extremely anxious. Hypnotherapy can help dissociate these behavioural responses from the patient’s anxious coping strategies using direct suggestion and reframing techniques. Hypnotherapy can build a perspective of confidence into the coping of new situations. Positive and realistic thought processes can be suggested during hypnosis to strengthen your handling of lifestyle issues.